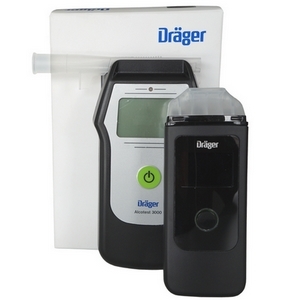 Dräger Alcotest® 3820 - the new convenient Alcohol screening device for Private & Commercial from Dräger! 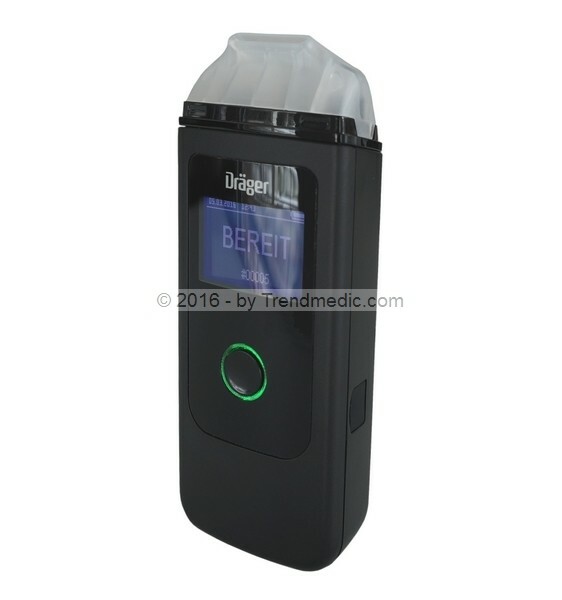 The Dräger Alcotest® 3820 is the new entry-level model from Dräger. 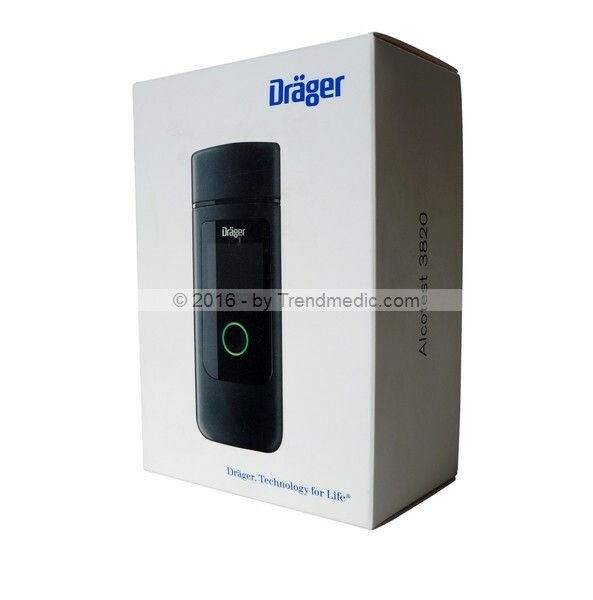 It is positioned below the Dräger Alcotest® 3000. 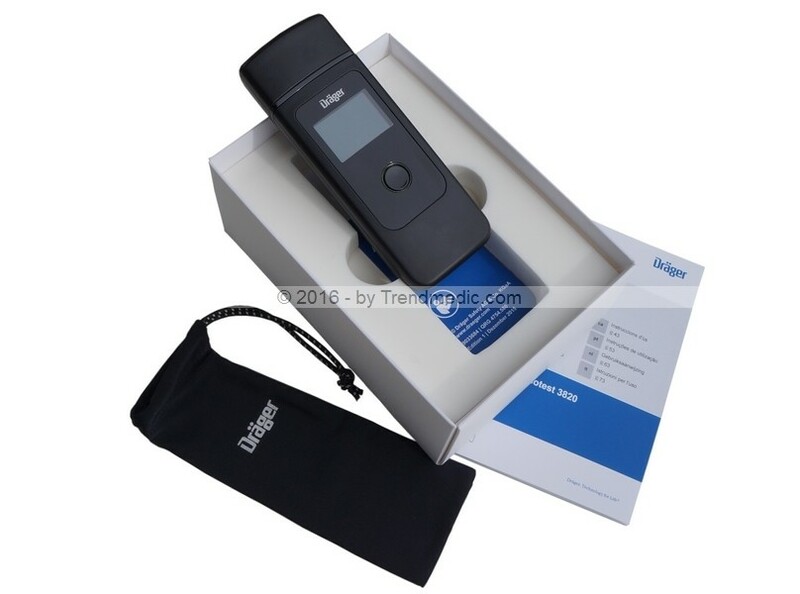 The device is much smaller than the Alcotest® 3000 on the external dimensions. It will come with a newly-developed mouthpiece with a cap. The target group are focused mainly on individuals. 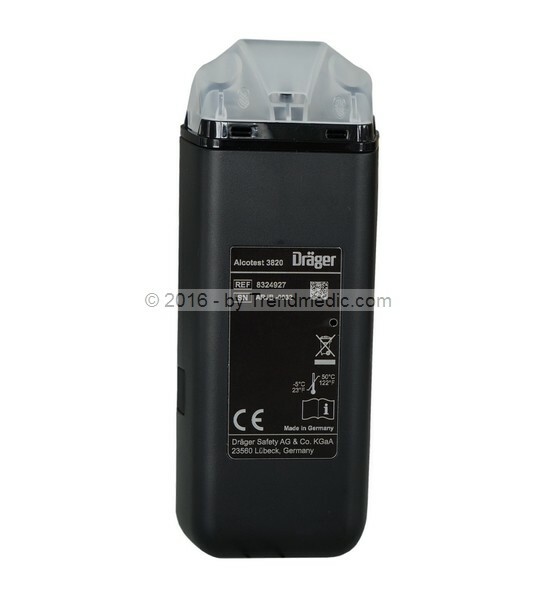 The power supply (battery) are not anymore Standard AA / Mignon (LR6) batteries such as the Alcotest 3000, it have a special size of type CR123A. This can not be change by the user easily. However, according the manufacturer, there should no change necessary (with average use) during lifetime. 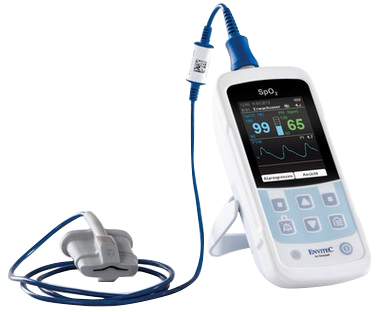 The operation is very simple and is controlled via once central button on the device. In addition to the displays of the Alcotest 3820 there are acoustic messages (eg, during breath sample). 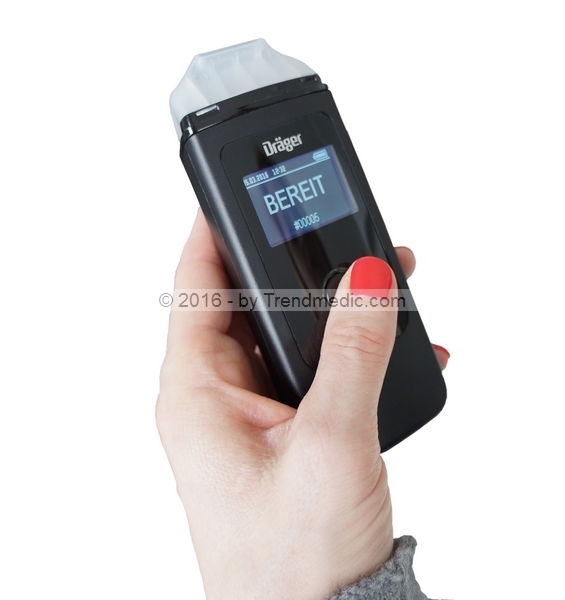 The device analyzes the breath sample pretty quicky (after about 3 seconds at room temperature or after 10 seconds at high alcohol values ​​<1 per mille = ‰ Promille). 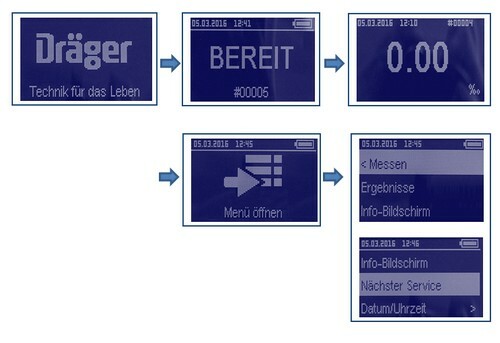 All indications on device status, measurements, firmware / software or error messages appear in clear text on the clear display in German. 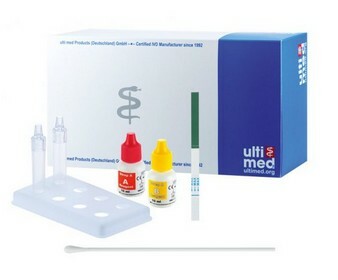 Audible signals (for example, during the breath sample) complement the display. The operation runs centrally on one button. Pressing this short, the device turns on and waiting for the breath sample. After Blow (length is given a steady tone during the process) an reslut is issued immediately after a short delay in value in "‰ per mille" ( = blood alcohol concentration). This unit is preset by factory. Unfortunately, you can not change on the device e.g. 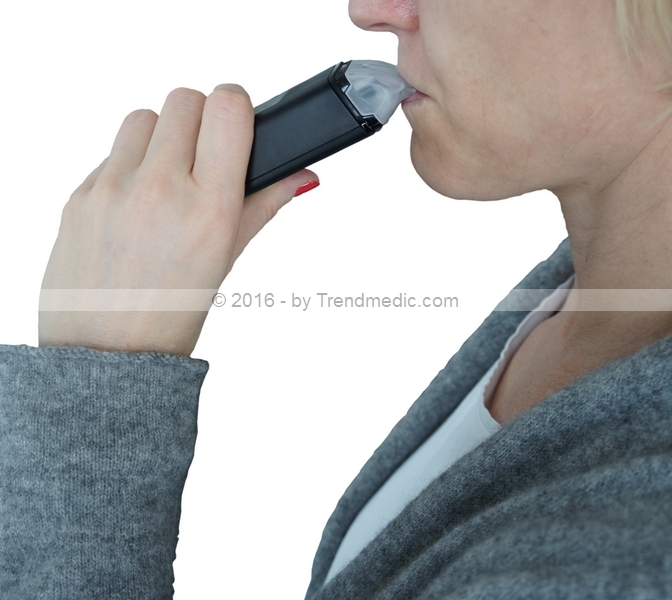 in mg / l (= breath alcohol concentration). The instrument is factory-calibrated when deliverd. If the calibration daste is longer ago than 12 month, the instrument should be calibrated. The sensitivity drift is typically 0,4% of the measured value per month. 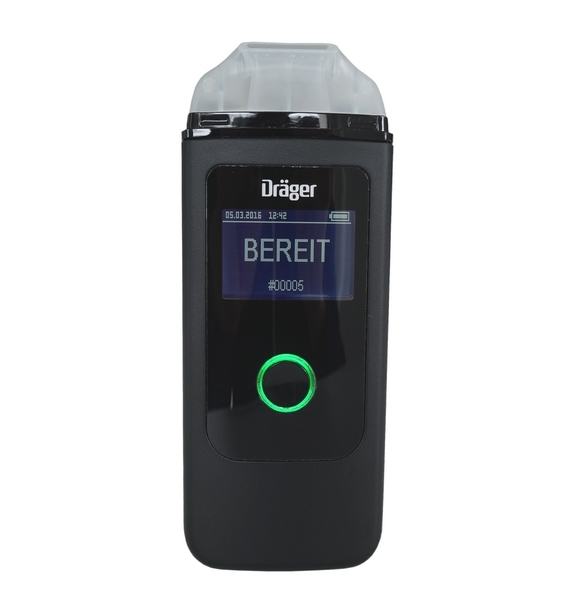 Bin sehr zufrieden mit dem Alkoholtester Dräger Alcotest 3820. Sehr netter Kontakt und gute Beratung von den Leute von Trendmedic bekommen. Würde ich wieder kaufen! ....schneller Versand, ausgepackt und bedient ohne Anleitung. Menü ist in deutsch und Messung und Werte scheinen nachvollziehbar! Empfehlung!